This week, I attended a White House briefing on the President’s initiatives addressed in his State of the Union address. His staff spoke on Cradle to Career education initiatives, My Brother’s Keeper, criminal justice reform, minimum wage and family sick leave. They emphasized a sense of urgency and that the President has 22 months left to move an agenda focused on strengthening the middle class and investing in America’s future. On education, the President believes no young person’s zip code should determine his/her future. While the nation has its highest high school graduation rate ever (80%), it can link its high school dropout rate to 1,300 of the Nation’s schools. Therefore, the President has a new national goal to prepare the next generation(s) for high quality education and a bright future. By creating better pathways, students will have a better chance to graduate high school putting them on a pathway to college and enhanced career choices. To close the access gap, we have to address cost and make college more affordable for students that work hard and get good grades. Opening access and making the first two years of community college free is a way to help students attain a higher education without going deep into debt before starting their career. Increasing the minimum wage will help many Americans including some college students. In 2017, 7 million Americans will benefit from minimum wage increases. [ii] Making family sick leave available so employees working full time get at least seven days of sick leave a year makes sense for the employee and employer. It can help businesses maintain low turnover while allowing employees to stay home when they are sick so they don’t get coworkers sick. It also helps employees care for sick loved ones during episodes of illness. 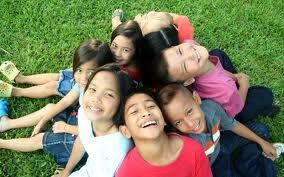 Additionally, protecting and promoting family values also leads to success for America’s youth. Each day, an average of eight children and teens are killed by guns. Last year, we heard one too many stories of young men killed by police officers that set off a firestorm of protests. Recognizing that too many young men are off track, the President one year ago this month, introduced My Brother’s Keeper (MBK). Later in the year, a month after Michael Brown was killed in Ferguson, Missouri, the President issued a challenge to cities, towns and tribes to become “MBK Communities” to implement coherent cradle to college and career strategy to improve outcomes for young people. It addresses serious concerns in the African American, Hispanic and Native American tribal community. MBK is seeking to find ways to save young people from a pathway that leads to prison. These are tied to his initiatives for education. As early as pre-kindergarten and kindergarten, some 4 and 5 year olds have been suspended for negative behavior that can be typical of a child who is developing social-emotional skills. This is not how we should be supporting young children in their early years. Data shows the nation’s greatest challenges dropout rates, crime, health-care costs, competing in the global marketplace – can be met by focusing on the development of all children, beginning at birth. Early childhood programs are the most cost-effective way to ensure the healthy development of children in poverty and offer the greatest returns to society.In DC, where Pre-K is offered in every elementary school, Councilmember David Grosso recognized this and introduced legislation to positively address this growing trend to protect our 4 and 5 year olds and find better ways to promote positive social and emotional development. MBK can be a vital instrument in impacting the lives of young American men. To sustain and create greater opportunities, it is securing corporate, advocacy and community partners to better engage young men. It is identifying long term solutions to their growth and prosperity in American society. And all of the President’s cabinet agencies with focus on domestic policy are engaged in this effort. More importantly, the President has expressed his and the First Lady’s commitment to work on MBK long after they leave the White House. Mandatory sentencing laws have hurt families for too long. The President’s staff and the Justice Department are looking for better ways to address re-entry, so that people can re-enter society better equipped to find employment, stay out of prison and empower them with the right to vote. His Task Force on 21st Century Policing is looking at how billions of dollars are being spent in the militarization of police departments. Body cameras and collaborative reform are great. Here is not only a need, but an excellent opportunity on Capitol Hill for bipartisan support. What the Administration and Congress might also consider is a national database to track the number of times police officers fire their weapons, injure and kill as well as kill unarmed individuals. While body cameras are a great first step, it is vital to have policy guidelines defining when an officer turns them on and who views the footage. As Americans, we can study the President’s proposals and look at like a shareholder of a company would. Whether it is increasing the minimum wage, creating seamless pathways to attaining higher education, protecting our young men and law enforcement officials, providing greater upward mobility opportunities, they all look to strengthen our nation and our economy. That’s a win-win as an American shareholder and a great way to invest in America’s future! 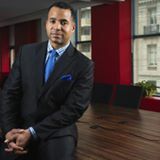 Atiba Madyun is the President of The Madyun Group, a Public Affairs firm based in Washington, DC. Learn more about My Brother’s Keeper (MBK) www.whitehouse.gov/MBK or visit www.mbk.org.